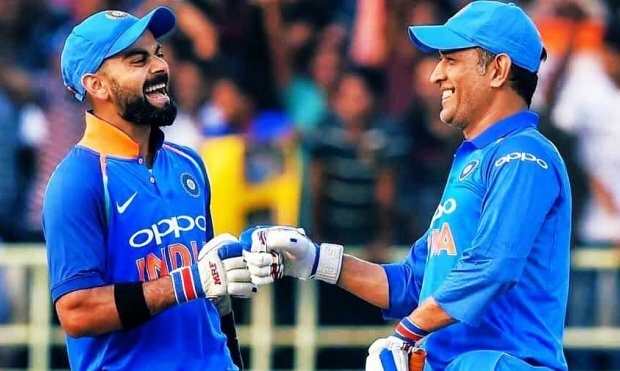 ONI Bureau: The 39th ODI century of Virat Kohli and MS Dhoni’s 55 not out helped India to register a six-wicket win against Australia in the second ODI to level the 3-match series 1-1. Captain Virat Kohli has been declared Man of the Match for his outstanding performance. Both the team will meet for the deciding ODI match in Melbourne Cricket Ground on Friday. While Australia scored 298/9 in 50 overs, India finished on 299/4 in 49.1 overs. Australia 298/9 in 50 overs (Marsh 131, Maxwell 48; Bhuvneshwar 4/45, Shami 3/58). India 299/4 in 49.2 overs (Rohit 43, Dhawan 32, Kohli 104, Rayudu 24, Dhoni 55*, Karthik 25*).